Restocking is done for the purpose of increasing the escapement levels of silver eels. 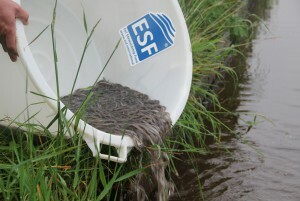 The ESF contributes to restocking projects. At least 60 % of the eels less than 12 cm in length caught by the licenced fisheries during each year have to be used for restocking projects in eel river basins. Every EU-member state is obliged to take conservations measures. Restocking is specifically emphasised as a conservation measure in the eel regulation. Many countries have adopted this as their key conservation action and so buy glass eels for restocking of inland waters. Besides this, the ESF is (co)funding extra restocking projects with glass eels and pre-grown eels*. 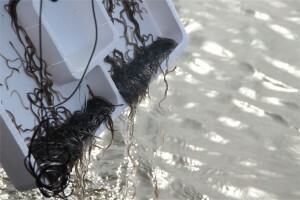 Tens of millions of glass eels are released in fresh water in order to increase the natural stocks on a yearly basis. *Pre-grown eels are glass eels which have been farmed for a number of weeks due to local requirements, to strengthen them or to make them available in a for restocking suitable period.